Note: When it comes to cheese in this recipe, the stronger the better! 1.Prepare bread: Cut into large cubes. Make sure that each cube has crust, or you’ll lose your bread! 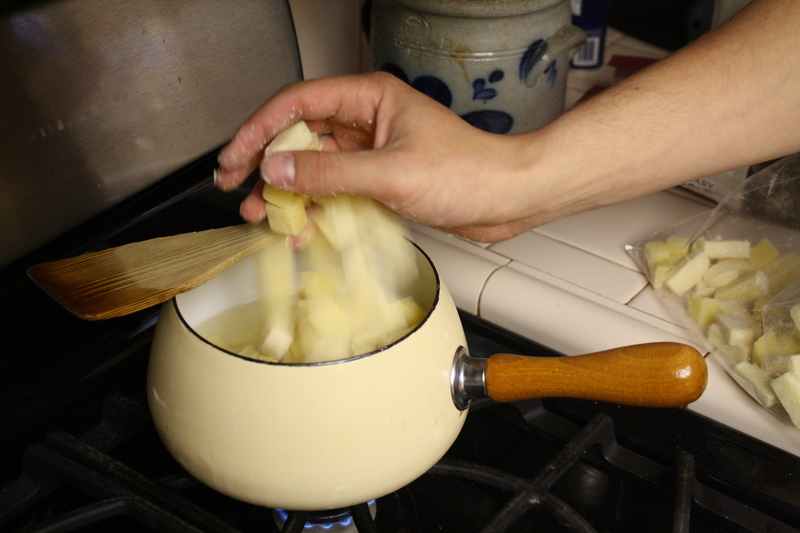 Prepare cheese: Grate or cut both cheeses into cubes. Sergej note: Grated is best, but time consuming – cubes also work. Put cheese into large Ziploc bag and add cornstarch to lightly coat. 2. Rub down the inside of your Fondue pot with crushed garlic clove. 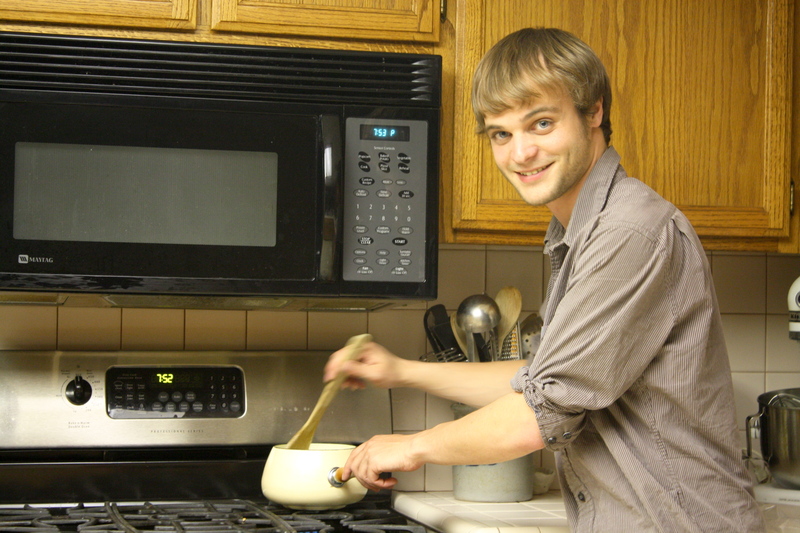 Sergej note: The best pots are ceramic, do not use metal you’ll never be able to clean it out. warm, add prepared cheese. Constantly stir mixture. If desired, add additional, pressed garlic to taste. 4. 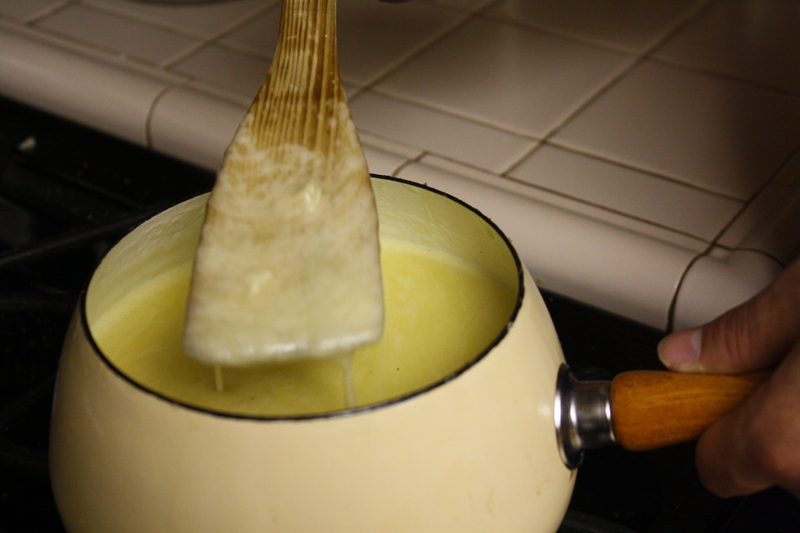 Once cheese starts melting, check to see if it is a consistent mixture (it should all be the same color). If it is even slightly separated add more cornstarch until it is one homogeneous mixture. Keep stirring, and be patient! 5. 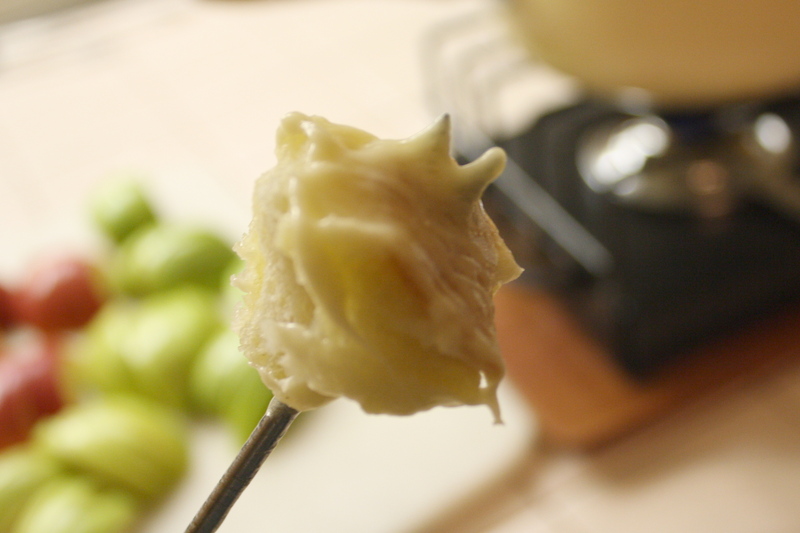 When cheese is completely melted and incorporated, light flame on fondue pot warmer. Transfer pot from stove to warmer. Spear bread with fondue forks, dip in fondue, and ENJOY! Grind black pepper on individual bites, if desired. Laura note: I also cut up a bunch of apples for dipping – Sergej had never heard of doing this, but I knew I would need to cut the carb and fat overload with something. Apples were delish. 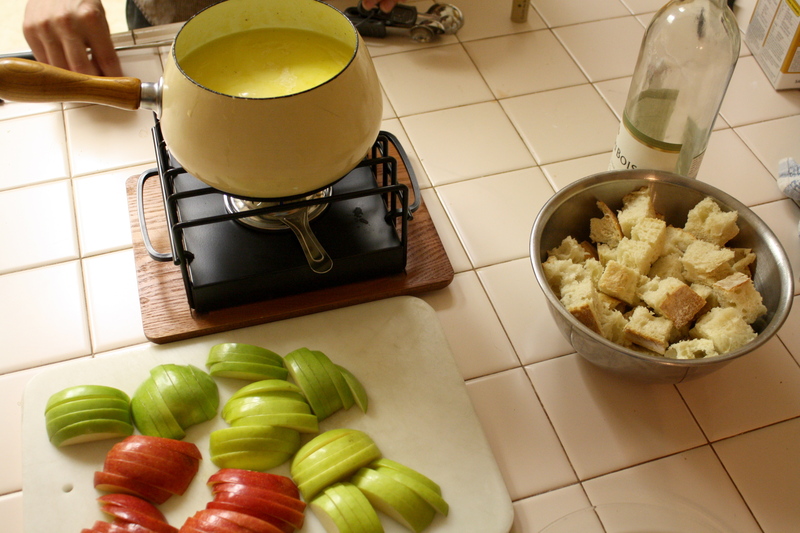 This entry was posted in appetizers, bread, cheese, soup, Sweet Life Laur Original and tagged authentic swiss fondue, cheese, fondue, food photography, party, Sweet Life Laur Original by Laura Zolnoski. Bookmark the permalink. Apples are a good idea! Even pears would probably be delicious. That fondue looks too good to be true.